Harry Hawker got his start in the aviation industry with the Sopwith Aviation Company which he joined as a mechanic in 1912. Sopwith went out of business in 1920 and the H.G. Hawker Engineering Company formed directly afterward. Hawker was killed in an aircraft accident in 1921 but his name survived. Tom Sopwith took over the company renaming it Hawker Aircraft Ltd. in 1933.In 1935, Tom Sopwith formed Hawker Siddeley Aircraft as a holding company for Hawker Aircraft, Gloster Aircraft, Armstrong Whitworth and Armstrong Siddeley Motors. Famous Hawker aircraft include the Hart, Fury, Hurricane, Typhoon and Hunter. Hawker Siddeley added Avro and Avro Canada in 1955. The DeHavilland Company and Folland were added in 1960. Engine operations (de Havilland Engines and Armstrong Siddeley) were sold to Bristol in 1961.In 1977, Hawker Siddeley, along with the British Aircraft Corporation and Scottish Aviation were nationalized and merged into British Aerospace. 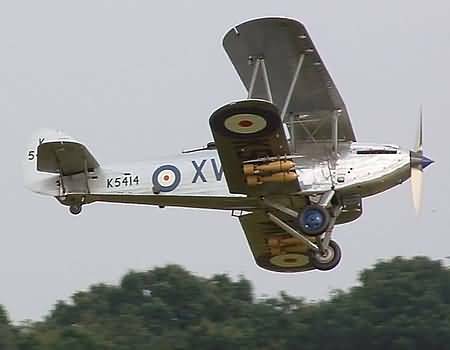 The Hawker Fury was a biplane fighter design used by the RAF in the 1930s. It was originally named the Hornet and was the counterpart to the Hawker Hart light bomber. The Fury was the RAF's first operational fighter aircraft to be able to exceed 200 mph (320 km/h) in level flight. It had highly sensitive controls which gave it superb aerobatic performance. It was designed partly for the fast interception of bombers and to that end it had a climb rate of almost 2400 feet per minute (730 m/min). There were two marks of Fury. The Fury I made its maiden flight on the March 25 1931 and was issued to No. 43 Squadron later that year. The Fury II had several improvements including a 20% increase in power, a higher top speed, and a greater rate of climb. It was issued to squadrons in 1936-1937. Three Spanish variants were ordered in 1935 which eventually took part in the Spanish Civil War, serving with both sides of the conflict. The Spanish variant had a cantilever undercarriage design and could achieve a top speed of 242 mph. By 1939 the Fury had been phased out from RAF squadrons and replaced with, amongst other designs, Gloster Gladiators and Hawker Hurricanes. However it was still used in some foreign air forces in the early 1940s; Yugoslav Furies saw action against Axis forces in the German invasion of 1941. They were also used by the South African Air Force against the Italian forces in East Africa in 1941.
enlarged tailplanes. Service introduction commenced September 1941 in No 56 Sqn, RAF, and first operation on May 30, 1942. Early operations dogged by engine problems, structural failures and some performance shortfall, eventually leading to diversion of Hawker Typhoon to fighter-bombing role, with up to two 1,000 Ib (454 kg) bombs or eight (eventually 12 or 16) 60 Ib (27 kg) rocket projectiles. First fighter-bomber operations late-1942 by Nos 181 and 182 Sqdns and by June 1945 some 27 squadrons (including three RCAF and one RNZAF) had flown Hawker Typhoons operationally and with great success in close-support role against ground targets, entirely in European ETO. One Hawker Typhoon (R7881, first flown March 23, 1943) equipped with AI Mk IV radar to evaluate night fighting potential. Prototype P5216 flown for several months (starting on November 9, 1941) with long-span wings and long ailerons to assess potential improvement in high-altitude performance (identified as Experimental Aeroplane 174 in the recognition manual). 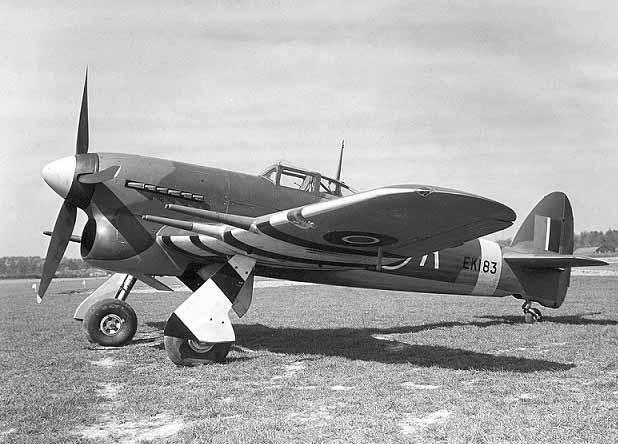 Conversely, Hawker Typhoon IA R7577 flown (starting July 27, 1942) with clipped wings to check possible low-altitude performance improvement (Experimental Aeroplane 185). Max speed, 405 mph (652 km/h) at 18,000ft (5,486 m). Most economical cruising speed, 254 mph (409 km/h) at 15,000ft (4,572 m). Time to 15,000 ft (4,572 m), 6.2 min. Service ceiling 34,000 ft (10,363 m). Empty weight, 8,800 Ib (3,992 kg). Gross weight, 11,400 Ib (5,171 kg). Span, 41 ft 7 in (12.67 m). Length, 31 ft ll½in (9.73 m). Wing area, 279 sq ft (25.92m2). Hawker Typhoon FR Mk IB: Approximately 60 (of 200 planned) conversions for fighter-reconnaissance role, carrying one 14 in (35.6 cm) and two 5 in (12.7 cm) cameras in port wing, replacing inboard port cannon. Forward-facing cine camera replaced inboard starboard cannon in some aircraft. Used operationally, August 1944 - February 1945, by Nos 268 and 4 Sqdns. Hawker Tempest V: Essentially the Hawker Tempest I with Typhoon-type 2,180 hp Sabre IIA engine installation and nose radiator. 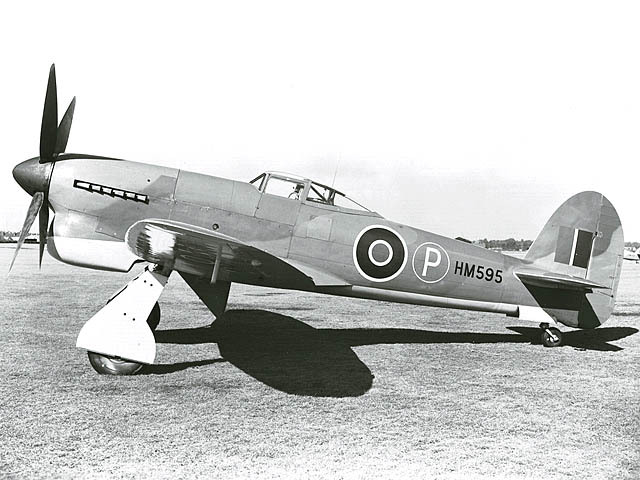 Prototype (HM595) first Hawker Tempest to fly, in this guise, on September 2, 1942. Production initiated by Hawker and first production Hawker Tempest V flown June 21, 1943. 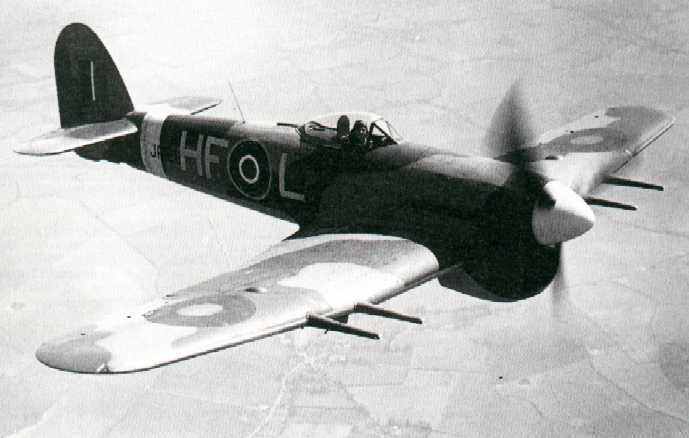 First 100 aircraft Series Is with four Hispano Mk II 20 mm cannon and short barrel projections; all-round view cockpit canopies as later Typhoons and enlarged fins and tailplanes. The 700 Series 2s had Mk V cannon with barrels flush with leading edge, and Sabre IIB or IIC; like Typhoon, Hawker Tempest V could carry two 1,000 Ib (454 kg) underwing bombs or eight 60 Ib (27 kg) rockets. First deliveries to Nos 3 and 486 (RNZAF) Sqdns, in April 1944, operational use began in May and Hawker Tempest Vs served notably in the defence against V-l attacks from June 1944 onwards. Seven squadrons operational by June 1945 and service use continued after war's end. Data for Mk V Series 2. Max speed, 435 mph (700 km/h) at 17,000ft (5,182 m). Economical cruising speed, 246 mph (396 km/h). Time to 20,000 ft (6,100 m), 6.1 min. Service ceiling, 36,500ft (11,125 m). Range, 740 miles (1,191 km) with standard fuel. Empty weight, 9,250 Ib (4,200 kg). Normal gross weight, 11,510 Ib (5,226 kg). Max overload weight, 13,640 Ib (6,193 kg). Span, 41 ft 0 in (12.49 m). Length, 33ft 8 in (10.26 m). Wing area, 302 sqft (28.1 m2). Hawker Tempest VI: Prototype (HM595) flown with 2,340 hp Sabre V on May 9, 1944, followed by two Hawker Tempest V conversions for service trials and 142 new-build Hawker Tempest Vis with this engine. Service use post-war. Hawker Tempest II: Six Hawker Tempest airframes ordered early 1942 for prototype development, of which three to have Centaurus engine (initially under Typhoon II/Centaurus appellation), but only two proceeded as Hawker Tempest II prototypes with this engine. First flight (LA602) June 28, 1943, with Centaurus IV and (LA607) September 18, 1943, used for development flying with Centaurus IV, V, XII, XV and XVIII. First production Hawker Tempest II (by Bristol) flown October 4, 1944, with 2,520 hp Centaurus V or VI and Hispano Mk V cannon. Production totalled 452 (50 by Bristol, 402 by Hawker), continuing post-war. Operational use began after war's end. Hawker Tempest III: Designation applicable to two prototypes with R-R Griffon IIB engine, but not built. 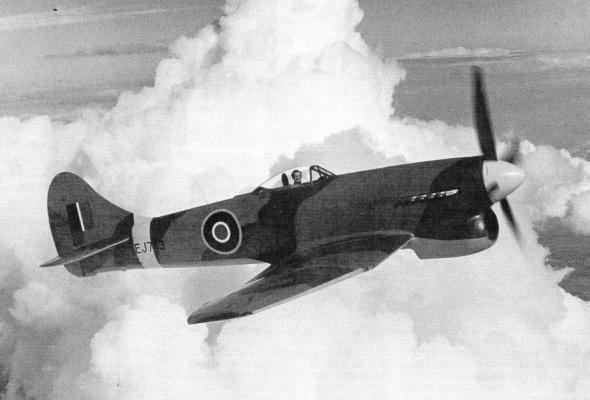 Hawker Tempest IV: Designation for prototypes as alternatives to Hawker Tempest III with Griffon 61 in self-contained powerplant installation. On 23 June, 1942, Luftwaffe Pilot Oberleutnant Arnim Faber erroneously landed his Focke-Wulf Fw 190A-3 fighter at RAF Pembrey, apparently having mistaken this airfield for a Luftwaffe channel coast airfield. The British were thereby presented with a working example of the Fw 190 fighter, which had been giving the RAF an extremely difficult time. The Hawker Fury design was a direct result of the examination of Faber's Fw 190A-3. Examination of Faber's aircraft was largely responsible for the preparation of Specification F.6/42, which called for a new, high-performance fighter. The design was modified in 1943 to meet a Royal Navy specification (N.7/43) for a carrier-based interceptor and named the Hawker Sea Fury. 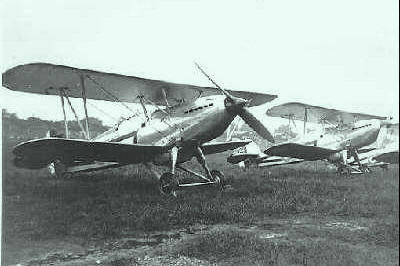 Hawker was designated to work on the land-based version, and responsibility for the naval conversion was assigned to Boulton-Paul Aircraft Ltd. of Wolverhampton. With the end of the Second World War, the RAF cancelled all production contracts for the Fury, deciding to concentrate all of its future efforts on jet fighters. The Royal Navy reduced its order for Sea Furies to 100 aircraft, and cancelled the Boulton-Paul contract in its entirety. The first production aircraft - a Mark 10 which was a carrier-based version, with folding wings- did not make its initial flight until September 1946. Although originally intended to serve with both the RAF and FAA, the RAF order was cancelled at the end of the war. 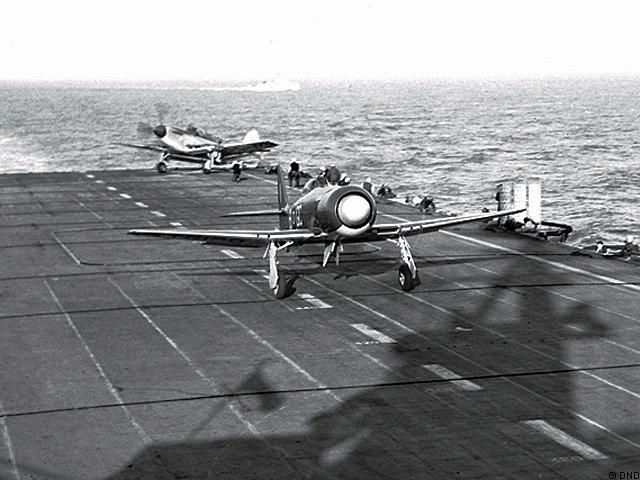 The first deck trials with Sea Fury TF898 began aboard HMS Victorious during the winter of 1946-47. The Mark 10 was approved for carrier operations in Spring 1947, and five Fleet Air Arm squadrons were then equipped with the Sea Fury. The Mark 10 was followed by the Mark 11 fighter-bomber - 615 of these were eventually delivered to the Navy. It became the Fleet Air Arm's principal single-seat fighter and remained so until the introduction of the Sea Hawk jet fighter in 1953. 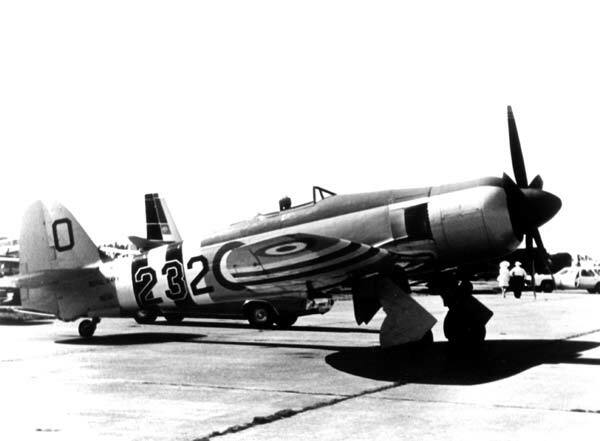 The Sea Fury served throughout the Korean War, replacing the Seafire, which was not really built for carrier operations, being too fragile. The Sea Fury was used by the FAA, Canada, Holland, Australia, and other countries including the Iraq Air Force. A total of 75 Sea Furies served with the Royal Canadian Navy (R.C.N.) between 1948 and 1956. All flew from the Aircraft Carrier HMCS Magnificent in 871 squadron. 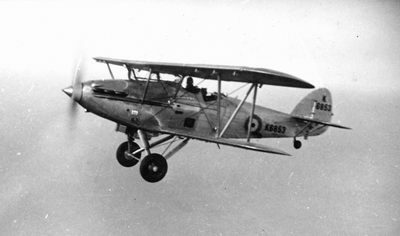 Hawker was designated to work on the land-based version, and responsibility for the naval conversion was assigned to Boulton-Paul Aircraft Ltd. of Wolverhampton. None in 1939-1945, post-war it had significant involvement in the Korean war. Paired with the Fairey Firefly, it provided the "heavy attack" element for the Royal Navy carriers that served in the Korean War. Fleet Air Arm Hawker Sea fury F.B.11 O-114 of 802 squadron (HMS Ocean) flown by Lt P "Hoagy" Carmichael on 9 August 1952 shot down a MiG-15 was the first such kill by a piston-engine fighter, and the only kill by a British pilot flying a British aircraft during the Korean War.